Are you sidelined by injury? Let's get you back in the game of life. Hi, I am a Perth based orthopaedic surgeon that specialises in knee and shoulder surgery and sports injuries. I help patients who have been sidelined by knee or shoulder pain, so they experience a service of excellence. From shoulder bursitis to rotator cuff repair, from knee arthroscopy to ACL reconstruction, my practice can help you with the treatment you need to get back into the game. If your injury is work related I can help you navigate the challenges of the workers' compensation scheme. The shoulder joint has an incredible range of motion, more than any other joint in our body. The shoulder joint is also one of the most complex joints in your body. It’s made up of three bones and a multitude of muscles, tendons, and ligaments. What does it mean when you start to experience pain or stiffness in your shoulder? You could be suffering from shoulder bursitis. A dislocated shoulder occurs when the ball of the shoulder joint is forced out of its socket. This dislocation may tear the shoulder capsule, known as a labral tear.The shoulder can dislocate both forwards (anterior dislocation) and backwards (posterior dislocation). Generally speaking, most shoulder dislocations are anterior dislocations. Acromioclavicular (AC) Joint Dislocation is usually caused by a direct fall onto the point of the shoulder. The shoulder blade (scapula) is forced downwards, and the collarbone (clavicle) pops up. It is a particularly common injury in contact sports and cycling. It can cause a visible bump on top of the shoulder. The shoulder can dislocate both forwards (anterior dislocation) and backwards (posterior dislocation). Generally speaking, most shoulder dislocations are anterior dislocations. An ACL injury is one of the most common serious knee injuries and involves a complete tear or rupture to the Anterior Cruciate Ligament (ACL). The human knee is vulnerable to injury because it connects two very long bones, the femur (thigh bone) and the tibia (shin bone). These two long levers can exert incredible force at the knee joint. Knee cap dislocation, also known as patella dislocation, occurs when the knee cap is completely displaced out of its normal position. The knee cap runs in a groove on the front of the femur, called the trochlea. When the knee cap is knocked out of this groove, a dislocated patella always goes to the outer (lateral) side of the knee. A sore knee cap is a very common complaint in all age groups. One in three people experience knee cap pain at some stage. Typically this pain is experienced at the front of the knee. The knee cap, also known as the patella, with doctors referring to the type of pain as runners knee or “patellofemoral pain”. You may experience a grating sensation from the kneecap. If you have been injured at work, I can help you navigate the complexity of the workers’ compensation scheme while you recover from your injury. Much of the stress and anxiety related to a workers’ compensation claim is relieved once you have had successful treatment and made a good recovery. 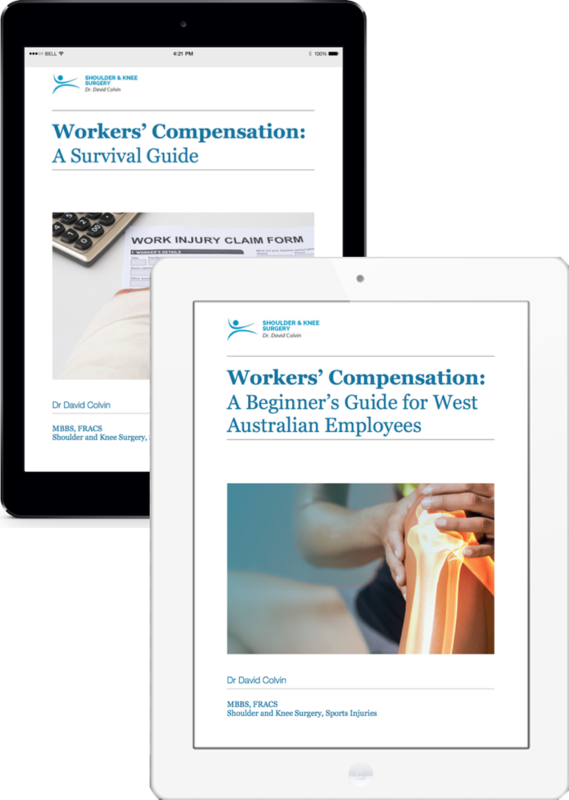 I have many resources that you can access to help you with the challenges posed by your workers’ compensation claim. Subscribe to the blog and get every new and interesting post delivered in your inbox. No spam! Ever! An ACL injury is a common injury and often occurs during sports. Twisting or pivoting maneuvers in other situations can also cause ACL injuries. Below you'll find a list of useful links to learn more about ACL tears and ACL reconstruction surgery. What are ACL tears? Symptoms and treatment. ACL reconstruction: why is surgery required? ACL graft: what are your options? FAQ's around ACL injuries and ACL reconstruction. 7 tips for easier recovery after ACL reconstruction surgery.